Very nice, as usual. Correction: Jonathan Cain is in Journey, and not Pink Floyd-that was Jon Carin. I have an early copy of the album, also. I agree with most of your points, such as barely hearing some of the guests on the songs, too many players on most songs (3 bassists? ), and lyrics & melodies being too overly happy, repetitively. But to me, it is the most enjoyable Jon solo album in many years. And there is at least 1 more coming, Chapter 2, with more guests. 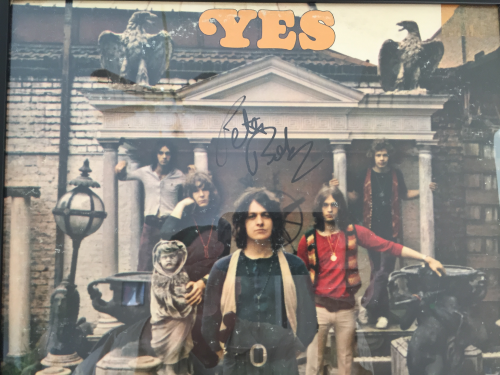 As for Jon talking about wanting a Yes album, a great event, I think he intentionally tied that in to get headlines & interest in his new album & tour. The tour is not selling that well in many cities. 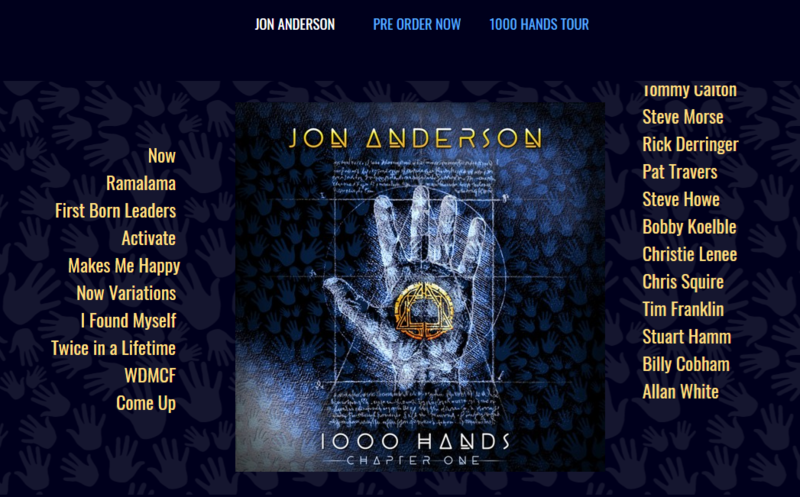 Last, I believe this will be Jon’s biggest selling album in many years, as it will appeal to Jon fans, Yes fans who want to hear Chris, Alan & Steve as well as Jon, and the fans of the many guests such as Corea, Cobham, Ponty, Morse, Hamm, Cain, Travers, etc. Thanks Doug. Yes, it’s certainly enjoyable and some of the guests add brilliant things, like Cobham and Corea. Gotta say “Ramalama” is very annoying with the repeating vocal loop. Take that out and perhaps the song has a chance with me. I think Jon’s weak link on his solo material vs Yes is that he relays on religion far too much. Almost like chanting a mantra in song. Love him but he really is best coupled with a proper songwriter and producer. Excellent episode not least because I think you’ve saved me some money here. I’ll check the album out on streaming but the clips I have heard and your commentary pretty much indicate to me that he needs to collaborate with people with a much wider harmonic vision in order for him to produce melodies that sustain interest over repeated listening. As for Jon A coming back to Yes, I am with Mark ,please, no, never, ever again. There needs to be new music from Davison & Howe and it needs to raise the bar way beyond anything else the band has done since Drama. Go big or go home. Thanks Ian – go big or go home! Exactly! In regards to the Two Pence segment, the selfish fan part of me just wants everything. I want a proper studio album from ARW, an album from the current Yes lineup with Sherwood being a good driving force, and THEN this “final Yes event” that Jon is dreaming about. Just like how I want Jon to just release every single song he’s recorded, even if they are just demos. But realistically, if I had to choose between (a) the “final Yes event” and (b) an album by the current Yes lineup and hopefully an album by ARW, I’d choose the latter. Two albums are better than one. I enjoy the songs on Union, particularly the extended versions of the songs (which can be found on YouTube), and the tour was great, but we can’t help but wonder what if we’d gotten two albums instead. I wouldn’t want the Downes/Davison epic that’s still in the pipeline to be sidelined due to Anderson returning. And I’ve been waiting for an album with Jon and Trevor working together again ever since Jon mentioned in an early 2008 interview that they were writing together. I really like the song “Fragile,” and I wanna hear more of what ARW can do. Let me say this – and this is probably easy for someone like me to say since I’ve already had the pleasure of going to an ARW show: If ARW were to only reunite to make and release an album, and then decide not to tour in support of it, I’d be fine with that. As long as we get the album. I’d probably wanna hear those songs live, but something is better than nothing. At this point, I’m just really desperate to hear a studio album from the guys. Thanks Steven. You have a good attitude towards it all, in my opinion! I agree about the studio album – can’t wait! You mentioned Imogen Heap in the podcast…I am a big fan of her work. Her music may not appeal to everyone here, but she is quite talented. Kevin, you asked for recommendations; my favorites are her albums Speak for Yourself and Ellipse, along with Details, where she was in the band Frou Frou with Guy Sigsworth. All are well worth a listen. 1000 Hands: I’m encouraged by the clips I’ve heard and your comments. Sound like it might be the best JA solo in a while. Look forward to hearing it all. Imogen Heap: Yes, check out the 2 songs she sings on on Jeff Beck’s Live at Ronny Scott’s. Also, she was in a band called Frou Frou that had some hits in the 80s (I believe). Great voice. Yes and JA: Well, here we are again speculating on the possibility of getting the old gang (mostly) back together. 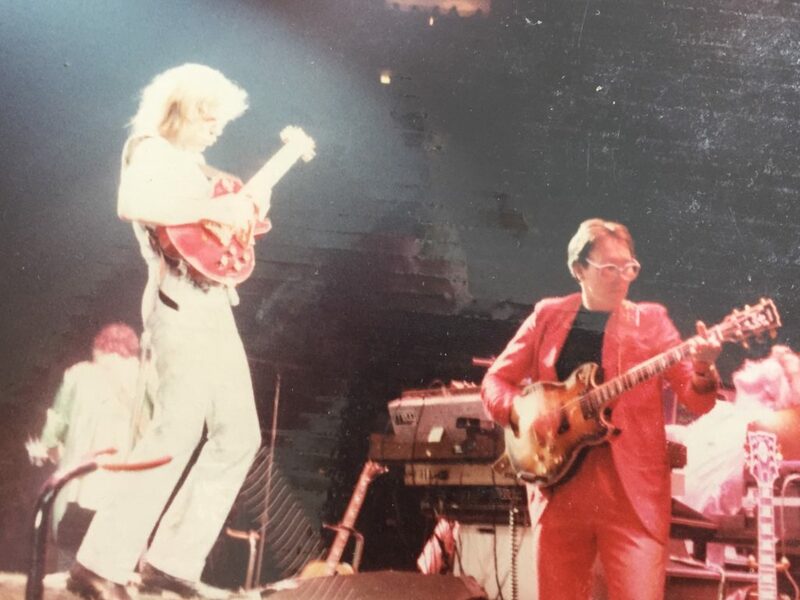 Although there’s been talk of the current lineup of Yes recording an album next year,….who knows. On the last outing no one had any material to offer except Jon Davison and we know how that turned out. So, when JA says he has 8 new songs that are perfect for a Yes album, you can’t blame us for being excited. Of course, we’ll just have to wait and see. Thanks for the comment, Guy and thanks for the suggestions on Imogen Heap. I’ll check them out. Just gotta Saturday that JefF Beck Live at Romnie Scott’s is amazimg! WOW!Mark Anthony – strange or perhapsa serendipidous that you mentioined Jeff Beck Live at Ronnie Scott’s ( the bar that Roger Dean’s brother designed I believe). I had just pulled that out or maybe I pulled it after hearing the pod. Its a good listen for sure. Such an amzimg touch Beck has! Sorry for the typos…feel free to correct them. And delete this too. Thanks! I will be in London in July. I’ll have to see if there’s anything playing at Ronnie Scott’s. Is it still open? Great review! 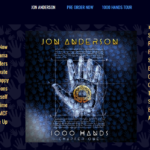 It was a huge enjoyable task recording, mixing and playing drums on “1,000 Hands”. I do have a correction in the list of players. 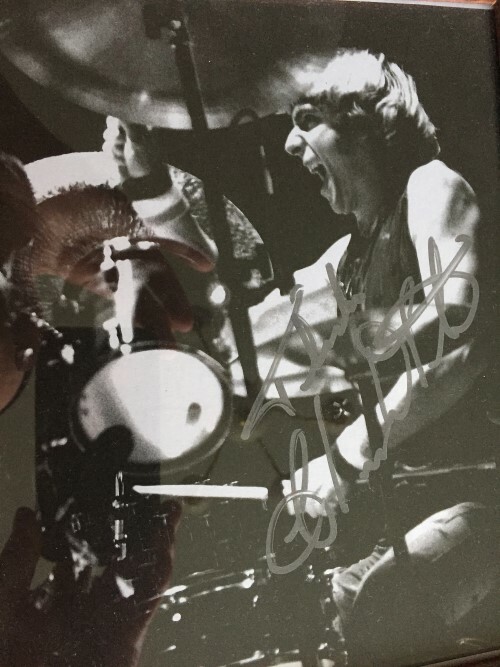 Although Alan White did originally play drums on “First Born Leaders” the Uzlot sessions, Matt Brown is the drummer heard on the recording. 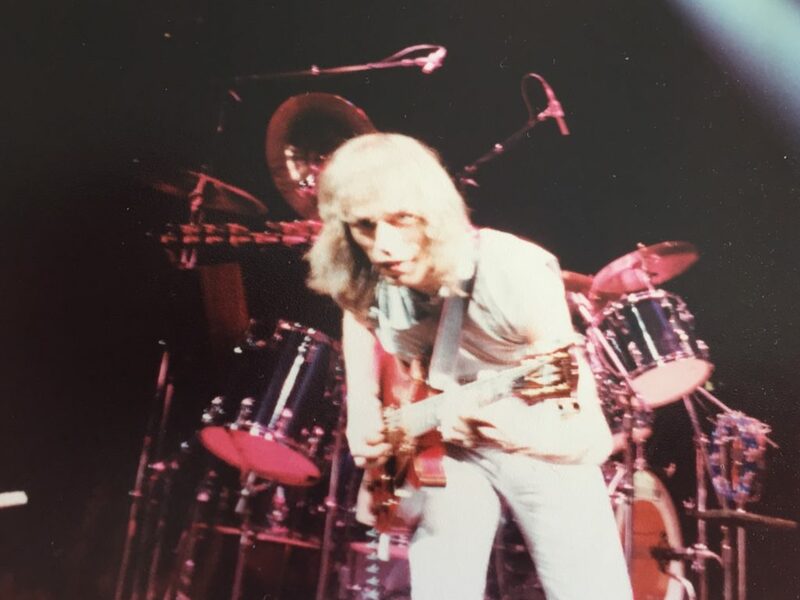 Alan’s parts were replaced due to a combination of technical issues with the original tapes and a decided feel change for the song itself.